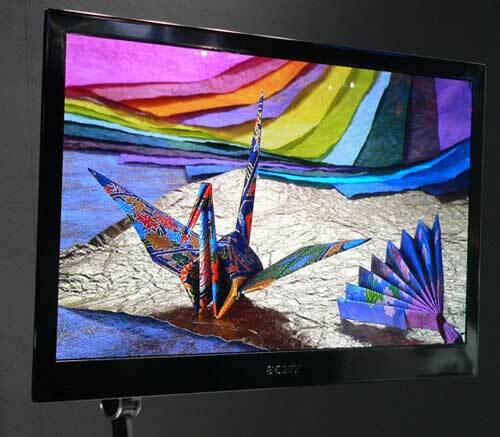 As we’ve mentioned in the past, the new breed of OLED televisions represented by Sony’s XEL-1 have plenty of assets, but an active lifespan shorter than that of LCD or plasma screens isn’t one of them. A breakthrough in LED technology from Japan, however, looks like turning that on its head [PDF link]. Optical specialist Hoya has devised an LED screen that lasts longer by dropping the organic materials in favor of inorganic electroluminescent alternatives. The new LED display is both more durable and can last longer before it starts to fade. Until now, inorganic EL substances have not been up to the task, due to being less luminous than their organic equivalents and having weaker color reproduction. The Hoya approach uses semiconductor nanocrystals that contain cadmium and selenium to create thin films that are both bright and accurate. The company claims that red light is produced as accurately as that from a CRT, which is generally the benchmark for color quality. Although there are no firm plans to sell TV sets with the new technology yet, it’s a fair bet that the Hoya method and the Toshiba Matsushita technique we saw last month will combine to give LED displays a fighting chance.